Look Black n Amber: Why Barnet? I thought I’d introduce my blog with answers to the question I hear most frequently (amongst the laughter and mocking, of course!) when I introduce myself and tell others who I support. 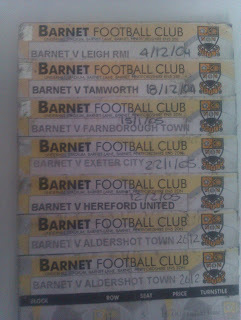 - Why do you support Barnet when you live in Essex and there are hundreds of teams out there to follow? The first thing I often like to point out, is, no matter what my location, at least I go and watch my team play, week in week out. Yes, I may not live around the corner, but I’d never dream of simply just watching my team on TV, or glory hunt a team because my friends like them, or because they win all the time. There’s no fun in that whatsoever; although of late, it’s mainly been downs, pride and passion in the lower leagues is immense. Of course that is with no disrespect to those that do support big teams – however, if you claim to support or follow a team, the very least you can do is attend matches. The fact that it takes me a good three-quarters of an hour to get to games doesn’t bother me (although of course, when we lose, it seems a lot longer and is often depressing!). He chose to go to escape the dreaded Saturdays in – the wife and kid(s), usual excuses. I never really thought much of it. Then one day, when I was four years old, my dad dragged me to a game – not that I remember much of it; apparently the highlight for me was chocolate raisins at half time. What was a one-off from time to time (when I was free, and fancied it), became more and more regular. When I was six, my dad bought both my brother (who has lost interest in the game) and I season tickets and we used to go together every other Saturday. The following season, my brother stopped going but my dad continued to go and I went back to going whenever I fancied and he paid for me on the gate. The first full season I can remember would have to be the year before we went up (2003-04) – in my current surroundings of the Main Stand. 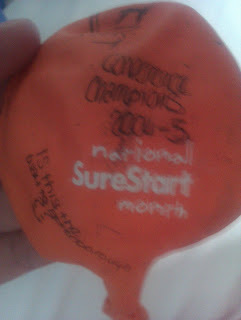 I didn’t have a season ticket, but went to every home game. The same happened again the following season – when we finally gained promotion to the Football League. 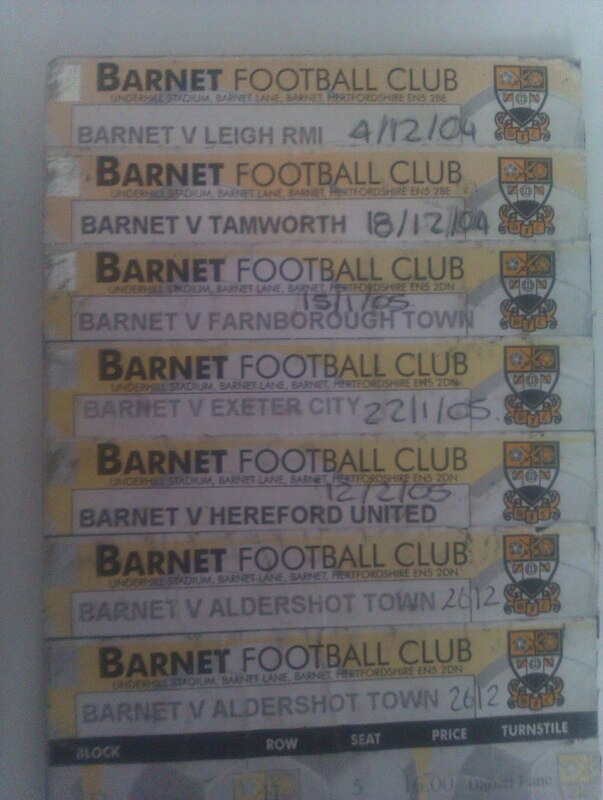 In fact, I found my old ticket stubs the other day, and couldn’t help but think how ‘tin pot’ those days were! After then, I knew I would be hooked for life – and since, have had a season ticket every season for the Main Stand.